Bipolar disorder is a severe mood disorder characterized by extremes of emotions. Elevated moods known as mania and depressive phases are common in people suffering from this disorder. 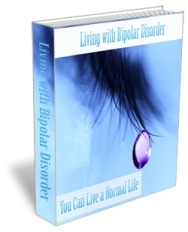 Due to the extreme emotional upheaval, patients require strong bipolar support programs. The bipolar support programs consist of psychotherapy, medication and education for both the patient and family members. Increasing awareness about the illness is essential for effective treatment. Various organizations have also formed forums and communities which are specifically designed to support people suffering from the disorder. It is effective in helping the family members of the patient. The mood swings of the patients has adverse effects on his personal as well as professional relations making it difficult for him or her to cope with daily activities and maintaining cordial relations with others. As a result, bipolar support programs have become essential for the treatment of patients. Various techniques of psychotherapy such as family focused therapy and interpersonal and social rhythm therapy have gained popularity as support programs. The family focused therapy mainly deals with educating the patient and his family members about the manifestation and implications of the disorder. It takes into account the family’s contribution towards the well being of the patient and accordingly incorporates features that could help the family understand the situation clearly. This could trigger favorable behavior towards the patient who would receive maximum support from family members. It also strives to reduce the stress and strain caused due to the illness. Impulsive behavior is often associated with bipolar disorder and this often disrupts the lives of the family members. The therapy becomes useful when it teaches family members to cope with such difficult situations. The interpersonal and social rhythm therapy on the other hand is based on the belief that the individual experiences mood swings due to alterations in the body rhythm. Insomnia, for example, is a disturbance in the body’s sleeping pattern and this can be solved by proper sleeping habits. Patients are equipped to change body rhythms through this therapy. It also trains patients to record the changes in moods. Daily activities like eating; sleeping, etc. is recorded along with their social interactions. This helps patients to keep track of their moods and therapists can eventually help them develop healthy and stable routines for their daily activities. Bipolar support programs are also developed by communities where patients can discuss their problems and seek support. Education and awareness oriented programs are a major focus of these communities.